Based in North London and Hertfordshire, PB Donoghue Group supplies waste management services to the public and private sector including skip hire as well as grab and tipper hire. 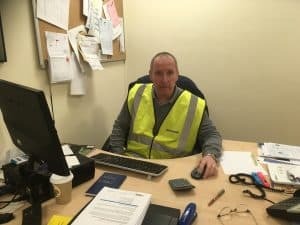 Peter Donoghue, Managing Director, explains how FORS has been a part of PB Donoghue Group for a number of years and how maintaining and being FORS Gold has helped to expand the company within a difficult industry. PB Donoghue as a company has been associated with FORS since 2007; however, maintaining FORS over the last 11 years and reaching FORS Gold last year has shown our customers and clients the importance of vehicle safety and management within our company. Maintaining FORS accreditations year on year, especially FORS Gold, is a boost to our company within our industry and shows our company commitment to continual improvement of our business. FORS has become an essential part of any business that operates within the London Area and nationally across the country. Being accredited at any level with FORS holds a higher respect within the industry. Working with FORS has been advantageous to our company, especially within our Driver Training. Training and development of our Drivers is a major aspect of the company and PB Donoghue holds Drivers CPC courses throughout the year at our main depot. This ensures the company monitors the Drivers CPC including health and fitness and that our Drivers are communicated the most up to date information. In addition, the company completes in-house driver assessments via our accredited Driver Trainer / Assessor. Our Driver Trainer / Assessor is also responsible for monitoring day to day driving at our operating centres; especially in the early hours to oversee and control unnecessary noise pollution; e.g. reversing vehicles before 7am. 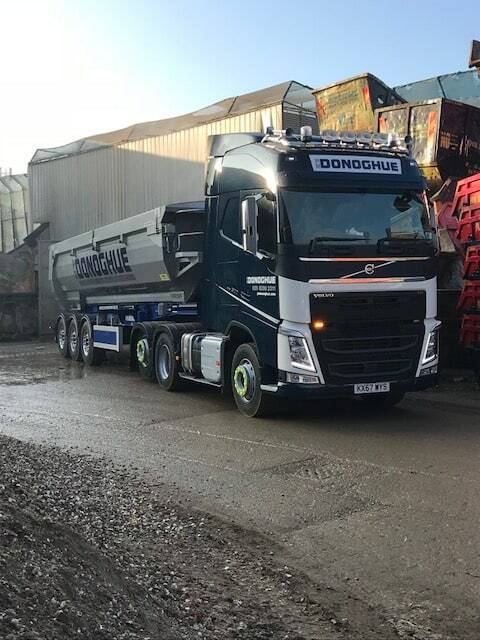 Companies within the Transport and Haulage industry know how difficult recruiting HGV Drivers can be and PB Donoghue are no different; however, PB Donoghue always encourages progression within our company, which includes staff passing their HGV and moving departments to Transport. We have been FORS Gold for 12 months and can identify that being Gold level has improved our image within the industry. Indicating to existing and potential new clients that PB Donoghue are FORS Gold, really shows clients that PB Donoghue are serious when it comes to vehicle safety, safety to others and maintaining our operation at a high level. At PB Donoghue we have continued to improve our fleet to meet FORS requirements in regards to vulnerable road users and alternative vehicles. Our fleet continues to have the specific industry safety requirements, which include side-under run bars, forward facing and reversing cameras as well as side sensors, specific reflective stripping, appropriate mirrors, this vehicle turning left alarm and newer vehicles are now fitted with lower vision window in the near-side door. Whilst PB Donoghue are always reviewing the operation in regards to alternative vehicles, the nature of our operations to a large extent dictates the type of vehicles we use; although, we are also influenced by our customers and their alternative method of transport; e.g. railway used to transport material. MPGs are regularly monitored to ensure our drivers are maximising their fuel consumption and PCNs are regularly reviewed to highlight drivers that are falling below standard. The table below shows continual improvement on last year for fuel consumption and penalty charges for which we believe the FORS standards have helped us focus these improvements.. In summary continuing to maintain FORS Gold level and utilising FORS training is paramount to our company business which ensures we stay at the forefront of our industry and safety in all the areas in which we operate.